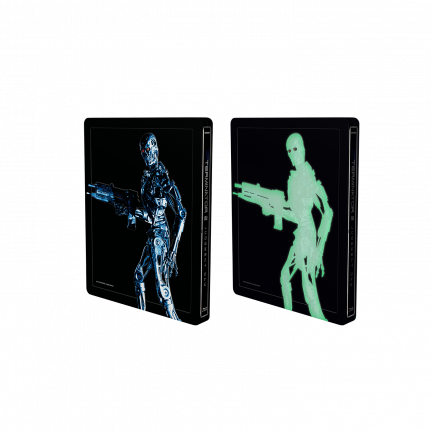 TERMINATOR 2: Judgment Day is back with the brand new coated editions designed by Filmarena Team. 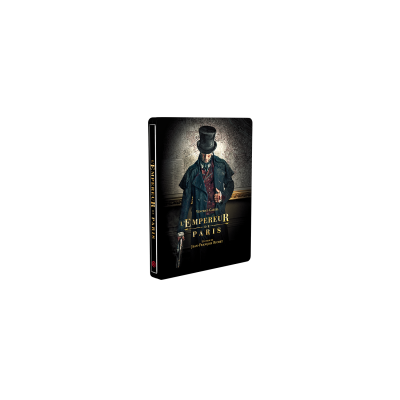 They have created two exclusive versions of collectible SteelBook® cases. 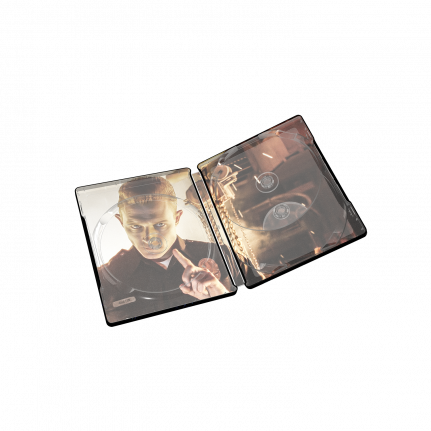 The first one, UHD SteelBook® is tuned with matt varnish, double embossing on front and back side. The biggest killer is GLOW IN THE DARK EFFECT used on the front side for highlighting Arnold on the motorcycle and Endoskeleton on the back side. 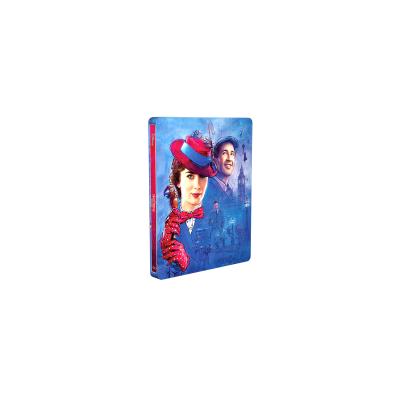 The matt SteelBook® features UHD remastered theatrical cut + Blu-ray remastered theatrical cut + Blu-ray original ultimate cut.